At Patent Designs, Inc. our goal is to become your exceptional home furnishings supplier. We are committed to a world-class customer service experience and have partnered with exceptional manufactures who will do their best to ship your orders in a timely, accurate manner. If for any reason you are not satisfied with our service, please contact us. You may place an order online, by phone 214-651-7240, by fax 214-651-7897, or by emailing us at orders@patriciagroup.com. If you are placing your order online, an order receipt confirmation will be e-mailed to you immediately following a successful online checkout. Please review and contact us immediately with any changes or errors. If you are placing an order by phone, fax, or email we will email you a sales quote for your review and approval. We do not have order minimums. Product availability and pricing are subject to change without prior notice. 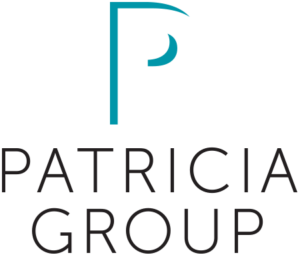 Please email sales@patricagroup.com to check the status of your order or call 214-651-7240. All items offered on this site are subject to availability. Lead times given are estimates, and not guarantees. At any time a lead time for an order may be shorter or longer depending on product availability. At the event of an unusual delay, we will promptly notify you. Special order furniture should be expected to take 10-12 weeks. Special made-to-order items with all materials in stock will usually ship from our manufacturers after 8 weeks of production and 2-4 weeks should be allowed for shipping. These are estimates and there have been instances due to various reasons that the expected dates have become much delayed. We would hope this wouldn’t be true for your order and we can certainly assure you we will do all we can do to expedite your delivery and communicate the progress of your order as often as we possibly can. We currently ship exclusively to addresses within the United States. For drop shipments we require the resident’s phone number. All orders must have a valid street address, no P.O. boxes or APO/FPO/DPO (Air/Army Post Office, Fleet Post Office or Diplomatic Post Office) destinations, or hotels please. Items ordered together are not necessarily shipped together and may be received separately. If you do not indicate that your order must ship complete, we will ship as ready. We will ship all back-orders when available. All items on this site ship for free and we will ship them the best possible way. Most custom-order items will ship with free White Glove Delivery. All other items will ship by best possible means determined by the manufacturer. However, Patent Designs, Inc. reserves the right to deny free shipping on any order for whatever reason we determine appropriate. White Glove Delivery is the ultimate delivery experience. Your purchase is unloaded, delivered to the room, area or outdoor space of your choice. Driver will be available on-site for 20 minutes and will be able to complete minor assembly needs. Cartoon and packing material removal is included. Particular accommodations are required by some delivery companies. Your failure to comply with the stipulations required by the shipping company of the manufactures choosing may lead to additional shipping charges that Patent Designs, Inc. will not cover. If additional shipping charges are incurred outside of the typical fees for delivery due to conditions that were not disclosed or actions of the receiver, you may have fees incurred that would be required to be paid before your furniture is delivered. The delivery company will contact you at the number you provided during checkout to schedule a delivery appointment. PLEASE INSPECT ALL SHIPMENTS WHEN THEY ARRIVE FOR EXACT COUNT AND DAMAGES PRIOR TO SIGNING FOR YOUR PACKAGES. FAILURE TO DO SO MAY RESULT IN DELAY OR DENIAL OF YOUR RETURN/CREDIT REQUEST. NOTES: Patent Designs, Inc.is NOT responsible for filing claims for items damaged shipped via your 3rd party account. Patent Designs, Inc. is NOT responsible for any charges incurred by customer due to 3rd party services used by the customer for storage or delivery of product.